Amid talk about voter disenfranchisement, the Klamath Falls Republican said the three-fifths compromise was actually intended to limit the power of slave states. 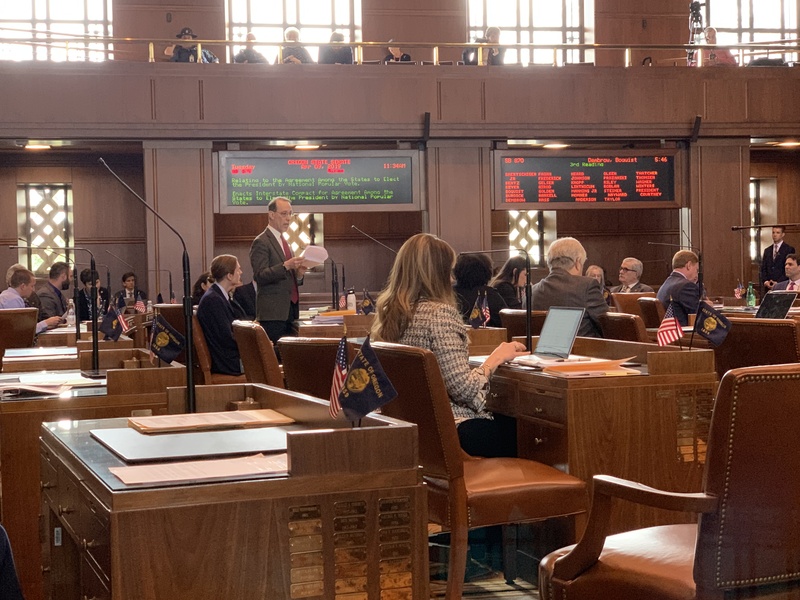 A debate about national elections reform on the Senate floor was hijacked Tuesday when Sen. Dennis Linthicum, R-Klamath Falls, brought up the political treatment of slaves in the 1700s. After senators James Manning, D-Eugene, and Lew Frederick, D-Portland, talked about the historical disenfranchisement black people experienced due in part to the three-fifths compromise, Linthicum opined an unusual notion that the three-fifths compromise was intended to limit the power of slave states, rather than bolster it. The compact would only be triggered when a combined 270 electoral votes – the amount needed to win the presidency – has joined. Garner died after being choked by police during an arrest for selling cigarettes on the street. Linthicum reasoned that if the taxes weren’t as high, Garner wouldn’t have been out on the street corner selling cigarettes. Linthicum was pushing back on a proposed tobacco tax increase.